click here StreetsideBangkok.com was launched in December 2014. The purpose is to be a valuable source for you in finding all the great street food and small restos to be found in Bangkok, a city I have been traveling around and eaten my way through for more than 10 years. click here In Thailand there is a tradition to take a nickname, so in the spirit of this culture, I have taken the nickname Champagne. I am, as you probably already figured out, not only a foddie, but I also love wine. And Champagne goes well with a lot of food, including some Thai dishes. order now StreetsideBangkok.com is not about reviewing all the street stalls and restaurants there is in the city of Angels. It is about finding the good once and to report back to the readers where to find it. The reviews will also be linked to cultural sites that is close to the stall or restaurant visited. click here The focus will be on Thai street food represented by carts and hawkers, hole in the walls and small restaurants with tables right on the street side of a bustling Bangkok. https://stetsonpainting.com/whychooseus/ viagra without prescription usa Independence is a rare thing these days, especially when it comes to food and reviews. 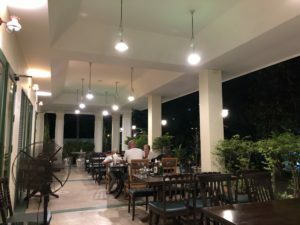 So let me highlight that it is my honest opinion you read in the reviews and that StreetsideBangkok.com works completely independent from all the stalls and restaurants visited. Whatever I eat or drink, I pay the full price. This is the only way to serve my readers and to ensure the trust needed to continue deliver quality feedback on Bangkok food scene. Articles will be published on a weekly basis. StreetsideBangkok.com is using Wikipedia as a support to own visits on attractions to visit nearby the street stalls or restaurants reviewed. Please leave a comment if you find StreetsideBangkok.com useful or send an email by using the contact form (streetsidebangkok@outlook.com) if you have any questions or tips on food stalls we should test out.